Because I freelance as a copy writer, I get to review a lot of interesting gadgets. My main focus over the past year has been appliances and smart home devices, but I branch out into things like FitBit and computers too. 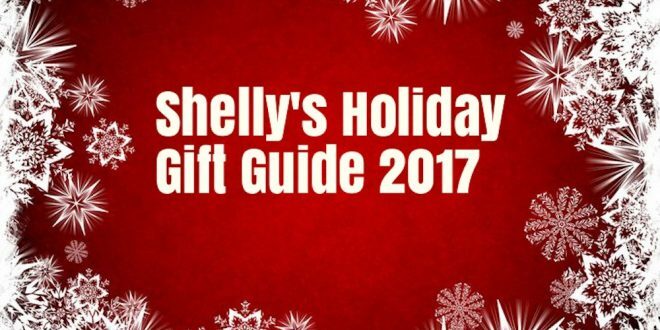 This year’s holiday gift guide 2017 has a little bit of everything. At the end of every year I look back and share my favourite gadgets or my best recommendations for gifts for the holiday. I either own these as part of my smart farm, have used them for a few weeks and reviewed them for Best Buy Canada, or just want them myself. In no particular order, here’s my holiday gift guide 2017. How do I love Arlo Pro? Seriously, I love Arlo Pro cameras. Before I moved to this farm I never even thought about having a security camera. It seemed pointless, but that was before I was broken into and I had people walking through my yard to vandalize different things. We live on 12 acres, and until we installed Arlo Pro cameras all over the property I was seriously stressed about who might be out there. 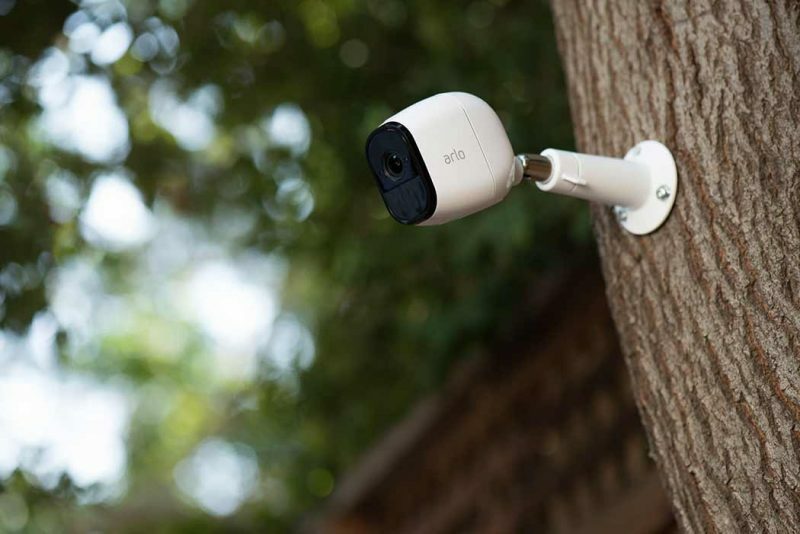 With Arlo Pro I get instant notifications if someone (most of the time it’s my chickens or goats) triggers motion or sound in front of the camera, and while the image quality is 720p, it’s still clear and lag-free. I love how Arlo Pro has rechargeable batteries and the cameras are cord-free. That means they can be put in trees or far away from the house. I also love how it streams straight to my phone and you get seven days of cloud storage for free. Check out this video my Arlo captured last winter. 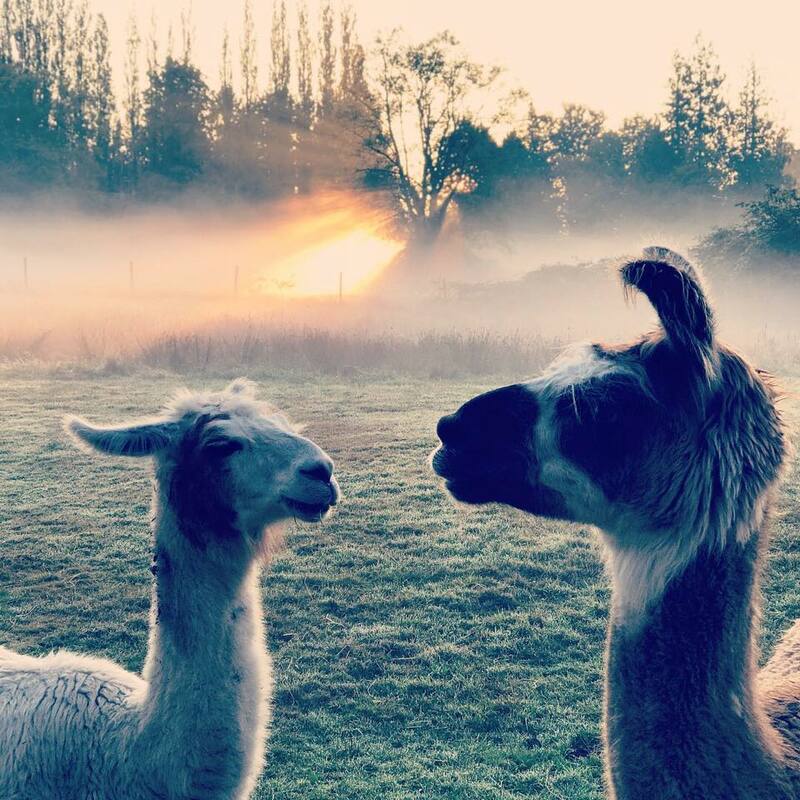 My llamas and sheep were frolicking in the yard by my shed, and as they made their way back out into the pasture, my llama Tina stopped for a second and looked at the shed. It has been pointed out to me (by many people who will now never visit my farm) that she’s looking at a ghostly figure as it sails over the shed. Did you see a face? Let me know if you do. At any rate, you might not think a home security camera is a good Christmas gift, but I’m here to tell you that yes, peace of mind is something you can gift for Christmas and that person will thank you for it. Especially if they have llamas and/or ghosts. I test out a lot of appliances, and when I do test them I make sure I really use them. I don’t think there’s any other way to learn the ins and outs of a device unless you really put it through it’s paces. Some appliances come up short after a few tries, but the Instant Pot Pressure Cooker has never disappointed me. I’m such a fan I was interviewed about it for the Globe and Mail. If you’re going to give one appliance gift this Christmas, you’ll want to really consider the Instant Pot Pressure Cooker. It looks like a large slow cooker with a bunch of different options, but this is definitely not a slow cooker. A slow cooker can’t cook a roast beef in 1/2 hour and have it be the best roast beef you’ve ever had. A pressure cooker certainly can. Having one of these in my kitchen has meant I don’t stress about making dinner at 5 pm anymore. I know I can get it done no matter what I choose to make, and with stew, soup, rice, slow cooker, and canning options, there’s a function for every day of the week. 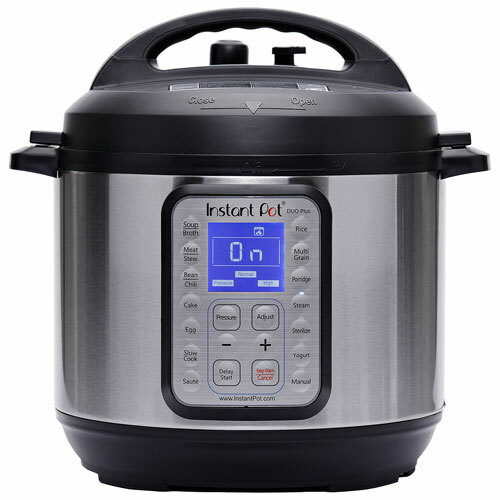 My best tips for Instant Pot: look up the Instant Pot forums online and check out all of the recipes people share. Also, when you’re releasing the steam, using a long handled spoon to release the valve. You don’t want your first experience with a pressure cooker to involve third degree burns. I’m an Apple girl. 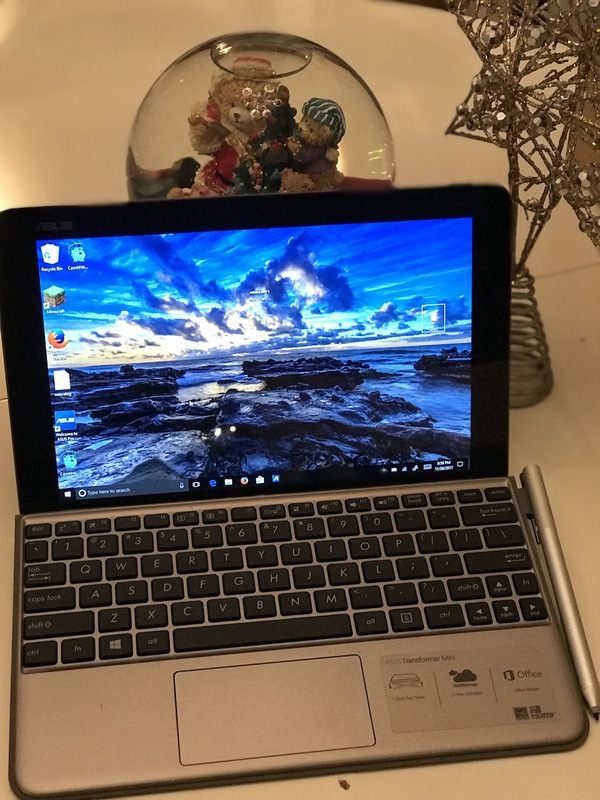 I’ve been using a Macbook for work exclusively since 2007, but when sent me the ASUS Transformer Mini to test out, wow, was I pleasantly surprised. 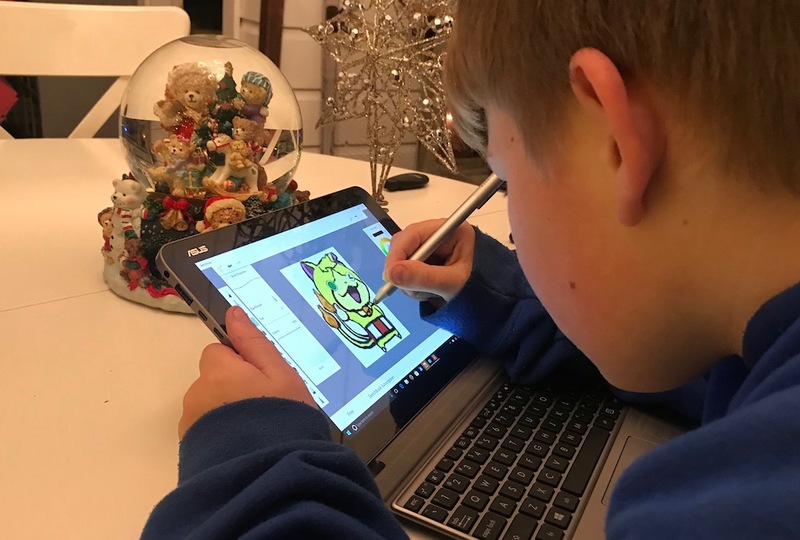 I heart this 2-in-1 tablet PC so much I actually shocked myself, and I’ve pulled it out in meetings and spent many an hour doodling on it with my kids. When I found myself telling my friends they need to get one, I knew I had to include it in my holiday gift guide 2017. It’s about the size of a standard tablet but it has a full, glorious 1280 x 800 screen that just pops off. That means you can use it for work as a full laptop or remove the keyboard and use it as a tablet. It’s got Windows 10, which is pretty incredible, and the 1.44GHz Quad-Core processor is up to my frantic multi-tasking. As we discovered, this isn’t a gaming PC by any means. With only 4GB of Ram, it can hold its own on games like Minecraft but that wouldn’t be my first choice for it. I think it shines much better as a very portable work computer with a playful side. That playful side includes drawing images right on the tablet. I work with a lot of creative ladies who design their own clothes, soap, and home decor. For them, the ASUS Transformer Mini would be a valuable tool. If you’re feeling inspired you don’t need to whip out a pad of paper; just open your laptop, pull out the included stylus, and draw what inspires you right on the screen. Then, when you’re doing back end bookkeeping or not-so-fun things like taxes, you can do them right on the same device. If you looked at all of the images we’ve saved, you’d think I’m personally inspired by Pokemon. I am not, but I do like spending time drawing with my Pokemon-loving son. A router is necessary in any home, but not all routers are created equal. Just because your cable company gave you one doesn’t mean you have the best router for your house, and after using the TP-Link Deco over the past few months, I’m ending the year thankful we live in the world where there are mesh router systems to power my home network. What’s mesh Wi-Fi? In a nutshell, it’s a system that blankets your entire home in Wi-Fi. In my opinion it’s an outright, take-no-holds assassin when it comes to dead zones and those pesky Wi-Fi drop spots. For a full explanation on mesh Wi-Fi, let’s turn to Ted, one of my fellow editors at Best Buy, as he explains it in the video show below. 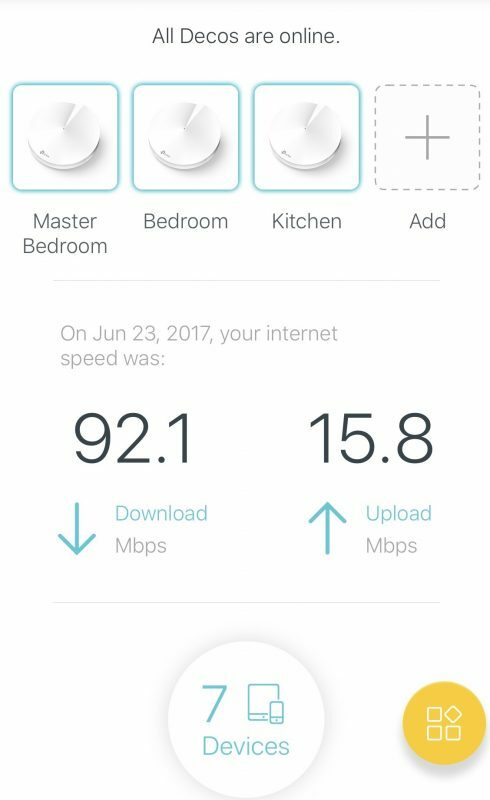 I’ve got the TP-Link Deco installed to power my smart farm, and I have never been happier with my Wi-Fi. The Deco includes three ‘pucks’ you place in different areas of your home to cover every nook and cranny. I’ve got one connected directly to my router, one in the back of the house (always a dead zone), and one in the attic to send a steady stream of Wi-Fi out to the llamas and alpacas. Don’t try to tell them they don’t need it. They’ll look at you like this. Thankfully they let me use it occasionally when I’m filming work videos out in the field. 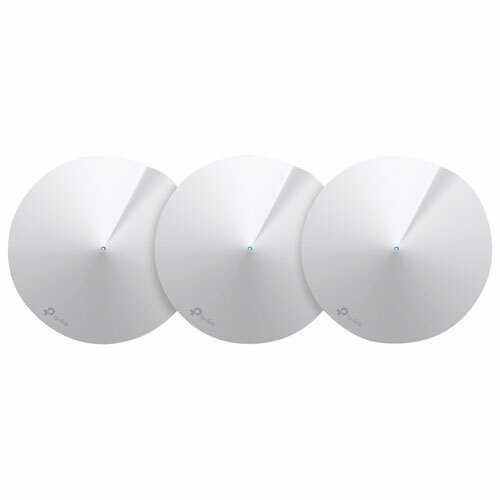 Since I’ve installed the TP-Link Deco I haven’t dropped a signal in my house, ever. I also don’t have dead zones anymore, and much to my surprise, my router provides a nice, steady stream to my 4K Netflix account so I no longer have lag issues. When I moved to this farm I wasn’t even sure I could have Wi-Fi: the fact that I have such an amazing signal is a testimony to this router. But my favourite feature on the TP-Link Deco is the parental controls. 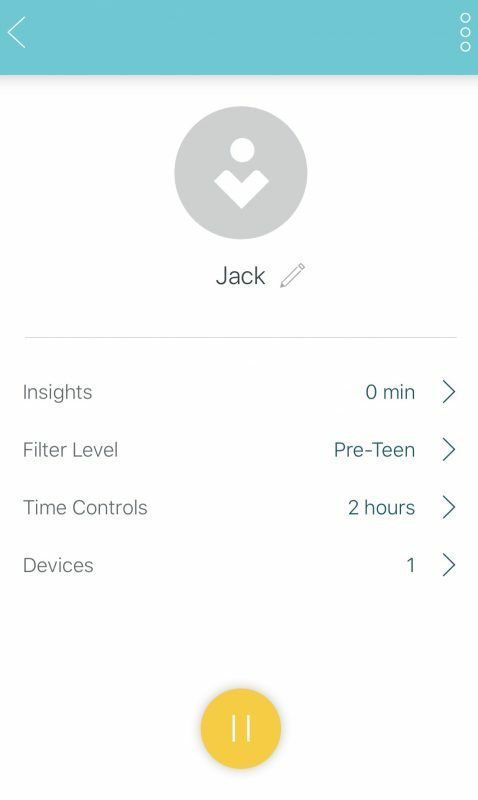 The parental controls let you set how long your kids will use the Wi-Fi and what ‘level’ they’ll be able to use it at. I don’t know how many times the kids weren’t listening to me about turning off their devices and going to bed, so I just login into the TP-Link Deco app, tap a screen, and kill their access to Wi-Fi. It’s brilliant. You can also set them on a schedule so they only have a certain amount of time each day. 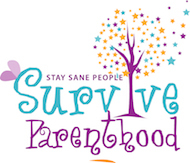 No dead spots, no drop zones, and parental controls? I think the TP-Link Deco really is the gift that keeps on giving. I haven’t tested the Ring Floodlight Cam, but I’m getting one for Christmas. Why? Because, as I’ve mentioned, I’ve had break ins and strangers walking through my yard. I’m not a fan of these encounters. One time we even had a lady shining her flash light in our bedroom windows while we were sleeping, and let me tell you: not a great experience. Arlo covers most areas in my yard, but I love the idea of having a security light turn on someone and being able to yell at people from it. I want my voice to thunder from the heavens, or at least the top of the telephone pole, and let these people know I’m about to open the door and my dog will take it from there. 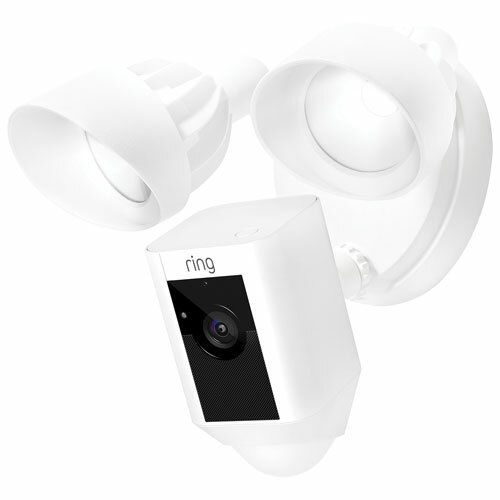 Ring Floodlight Cam is a wired device, so you’ll have to have a power source. Once connected you’ll get a beautiful stream of 1080p Full HD video and a 140-degree viewing angle. You’ll be able to see these interlopers in the dark and speak via the two-way audio, which, to be quite honest, is my main goal here, and there’s also facial detection in case a stray deer has decided to case your place instead. My dad wants to use the Ring Floodlight Cam to scream at coyotes. He’s got an issue with coyotes. Don’t get me started on him, but take it from me, this would be the perfect gift for an older person too. I’ve banned Roblox from my house. I honestly thought it was making my son a little jerk. I still let him play Minecraft, but I was searching for a game he’d like that would teach him a thing or two at the same time. That’s when Osmo landed on my table for review, and I 100% recommend the Osmo Genius Kit and all of the fun expansion packs. The Osmo Genius Kit comes with several different games on its own, and it can teach your kid to draw, code, and, in the case of Pizza Kitchen, manage their money. My 16 year old daughter got so hooked on Pizza Kitchen I considered buying it for her. 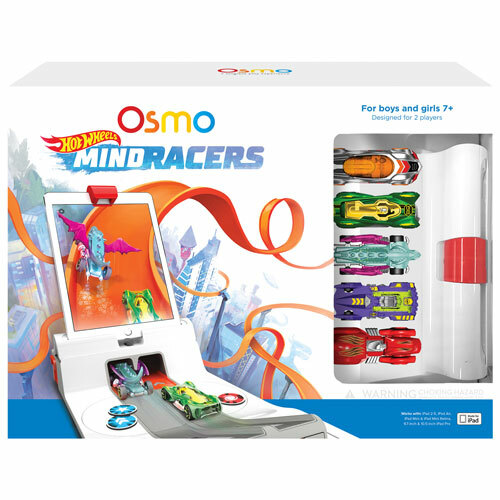 There’s also a new expansion called Osmo Mind Racers that any hot wheel fan will love. Teaching your kids to code is one of the most important things you can do for them right now, and they’re never too young to start. I’ve become a huge fan of coding and smart toys over the past year. If they are going to have screen time, this is the best kind of screen time they can have. Here’s a look at my video review of Osmo. I’m sad my holiday gift guide 2017 has come to an end, but with 2018 around the corner, I’m really excited about all of the cool things I’m going to test out. I love my job, and it’s even more fun when you can share what you’ve learned about smart home devices, appliances, and computers with a bunch of people who want to know too. I wish you a very happy holiday shopping season, and if you ever have any questions about anything I write or review, come find me on Twitter. I’m also on Best Buy’s blog and there’s links to everything I review on there.